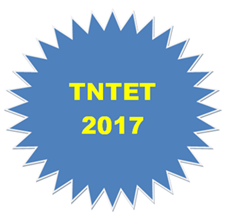 >> TNTET – 2017 Tamil Nadu Teacher Eligibility Test – 2017 is going to be conducted in the last week of April. >> Separate Application Forms are designed for TNTET Paper I and Paper II. >> Application Forms allocated to each Revenue District will be delivered to the Chief Educational Officers on or before 10.02.2017. >> CEO has to allot to each DEO and then to each school. >> Chief Educational Officers should handover the Application Forms to the District Educational Officers in their jurisdiction and coordinate with the sale of Application Forms. 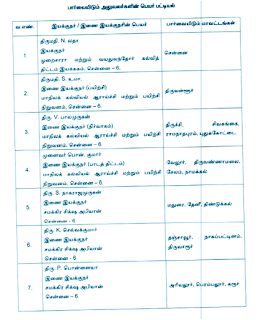 >> This time also like the previous TNTET, it is decided to sell the TNTET Application forms through selected Hr. Sec. Schools. >> Application Forms should be shared between schools as and when there is necessity. >> A Coordinator can be appointed for 10 schools each with the officers like the District Elementary Education Officers, Personal Assistants and Deputy Inspectors with the work of sending the Application Forms to needy schools from the Chief Educational Offices. >> TNTET Application Forms should be sold in the selected Hr. Sec. Schools from 9.00 AM to 6.00 PM from mid February'2017 to end of February'2017 tentatively 27.02.2017. >> Selected Hr. Sec. School should sell the Application Forms from 09.00 AM to 06.00 PM on all working days (including Saturdays) with at least two staff members on duty. >> It is strictly instructed that only ONE Application Form should be sold to each candidate. >> Announcements may be made on the notice boards of Hr. Sec. Schools about the separate application forms for Paper I and Paper II and about the submission of filled-in Application Forms only in the District Educational Offices. >> Chief Educational Officers should take personal care on the sale and receipt of Application Forms. II. Receipt of Filled-in Application Forms in the District Educational Offices. 1. At least 13 Teams (6+7 Teams for Paper I and Paper II) or more as per need may be formed for the receipt of Filled-in Application Forms in the District Educational Offices. >> These Teams should check the filled-in Application Forms to ensure whether all the particulars are filled-in and the Challan for the payment of examination fee is attached. >> The Teams should issue an acknowledgement on the xerox copy of the Application Form as prescribed by the TRB (in Annexure III) and it should be duly signed by the head of the Team without fail. >> Last date for Sale of Application Forms tentatively 27-02- 2017 and receipt of Filled-in Application forms in the District Educational Offices on 28.02.2017 should be closed at 05.00 PM without fail.